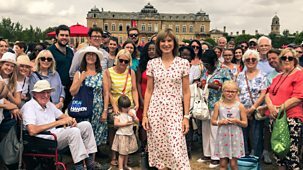 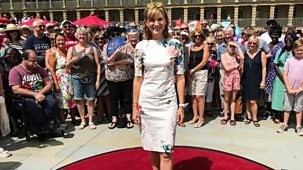 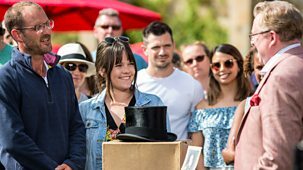 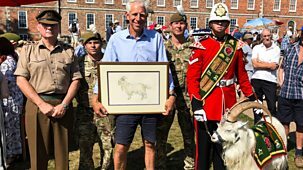 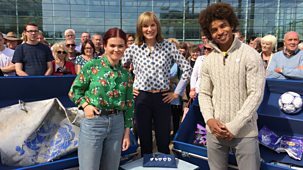 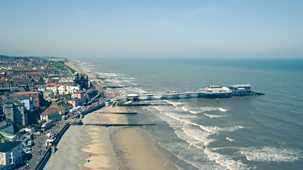 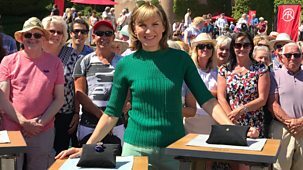 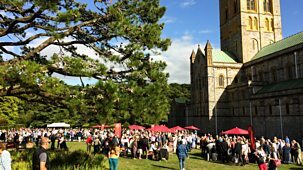 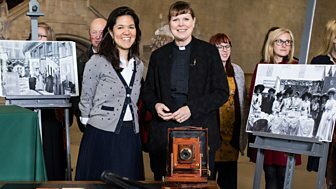 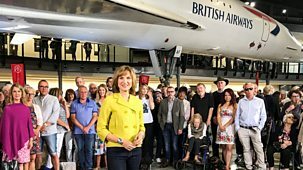 The Antiques Roadshow visits the Black Country Living Museum in Dudley, where surprising finds include a 3,000-year-old baby rattle and a Faberge treasure destined to become one of the most valuable items ever seen on the show. 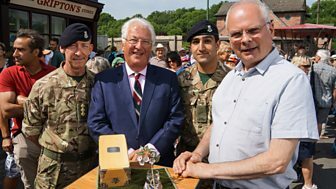 Jewellery specialist Geoffrey Munn is left breathless by the majestic beauty of the regimental jewel, commissioned by the Countess of Dudley in 1903 for the Queen's Own Worcestershire Hussars in honour of their service in the Boer War. 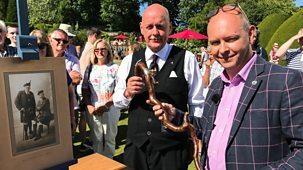 \n\nOther discoveries include a typewriter used by children's author Enid Blyton to create some of her most famous works and one of Laurence Olivier's first acting scripts, carefully transcribed in his own hand.\n\nIndian art specialist Amin Jaffer delivers a short history of the spittoon, while Andy McConnell challenges Fiona to guess which glass object has increased the most in value.\n\nThe most poignant find of the day is a tin of children's toys and trinkets that had been hidden up a chimney as part of a treasure hunt in 1940. 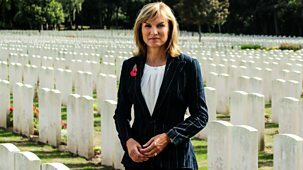 Could Roadshow viewers help identify the young girl who left the trail of clues after being struck down with illness?